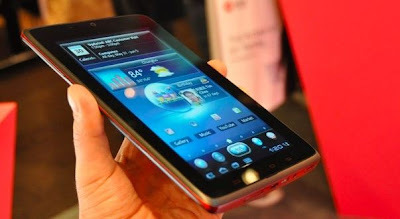 The ViewSonic ViewPad 7x has 7-inch LED display with a 1024 x 600 resolution and is powered by a dual-core NVIDIA Tegra 2 processor, runs on Android 3.0.1 Honeycomb, both rear and front facing cameras, HSPA+ connectivity, an HDMI-out. There is a chance that ViewSonic will update to Google’s newer Android 3.1 operating system once it launches. Available in International market for a price tag of Euro 350. It weighs just 380gms. 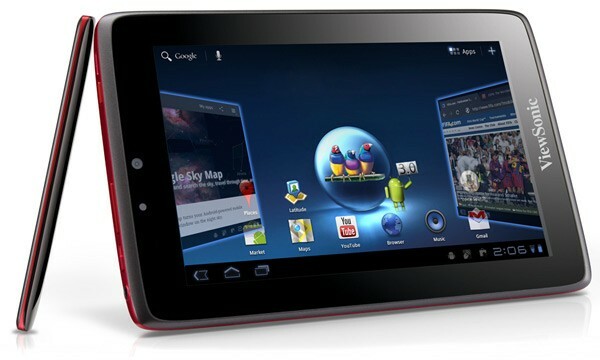 The ViewPad 7x will be available in India next moth with a price tag of around Rs 30,000 (Euro 350) or less. Tags:ViewSonic ViewPad 7x, ViewSonic ViewPad 7x features, ViewSonic ViewPad 7x specifications, ViewSonic ViewPad 7x review, ViewSonic ViewPad 7x details, ViewSonic ViewPad 7x availability, smart phone, ViewSonic ViewPad 7x specs, ViewSonic ViewPad 7x images, ViewSonic ViewPad 7x pics, ViewSonic ViewPad 7x pictures, Android 3.0.1 Honeycomb.